(The resurrection Cathedral in Arzamas has a dominant position on the Cathedral square. It was built in honor of the victory of Russian people in the Patriotic war of 1812. The building went 5.5 million bricks, 1,000 cubic meters of crushed stone for foundations and 164 ton of iron. The design of the Cathedral was completed Mikhail Corinfskiy). 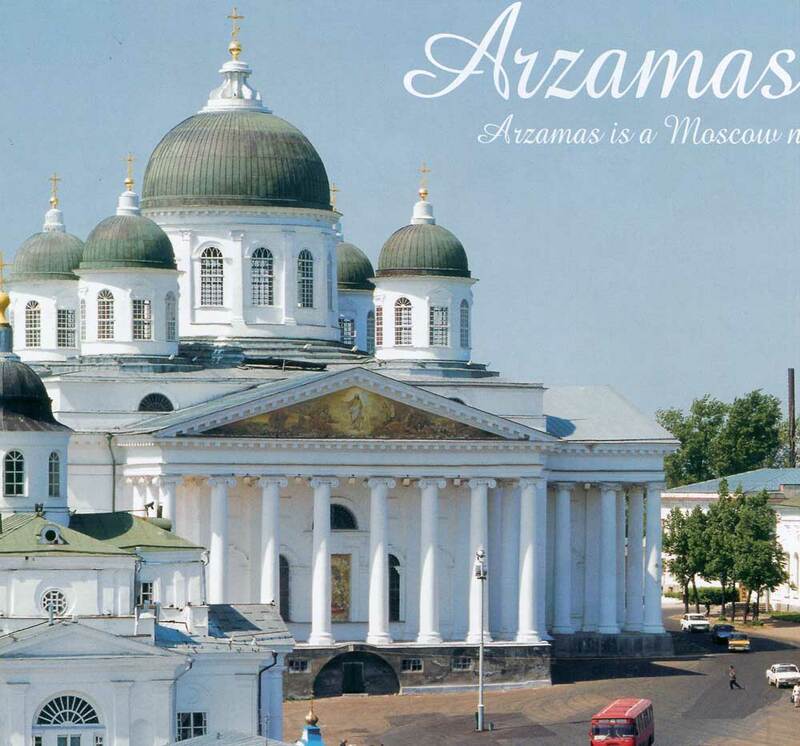 Arzamas is half way to Diveevo and is one of the oldest towns of the Nizhny Novgorod region. The legend says that it was founded by Tsar Ivan the Terrible as he passed this place by during his military campaign to taket over Kazan in 1552. The name Arzamas is the result of the mixing of the Motdovian words erzia, the name of a Mordovian tribe, and mazi, meaning red or beautiful. So, we can translate Arzamas as Beautiful Place of the Erzia People. Indeed, the town is situated on the beautiful Tesha river. In the mid-18th century ten roads led to Arzamas, including four of national status. Trade and handcrafts developed and there appeared rich merchants, who had trading houses and shops in theit native town but as well as in all the main trading centres across the country. Church (1746), the Church of Holy Jerusalem (1717), the Monastery of St Saviour (18th century), the Church of the Nativity (built in 1852 the architect is KTon, who also designed the Saviour Cathedral in Moscow) and many othets colossal fot such a small town edifices. 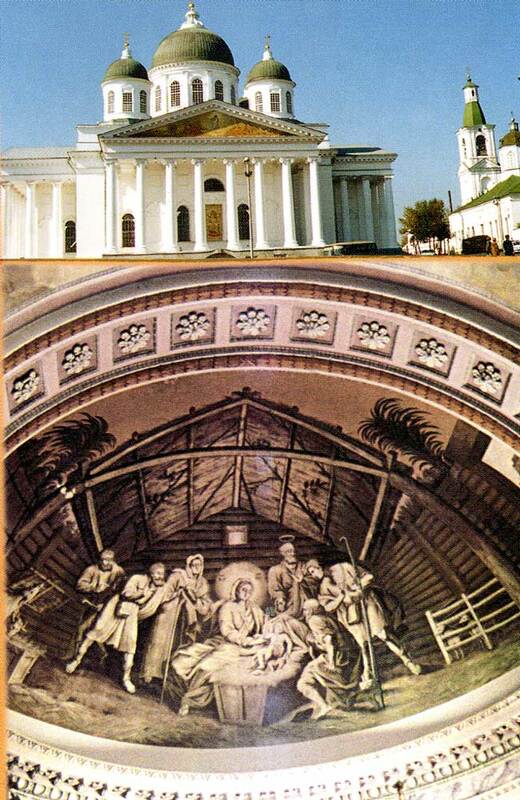 The Smolensk Cathedral in the village of Vyezdnoe (1815) is where the picture «The Crucifixion» is kept. Painted on canvas, it is the wotk of the 17th century Spanish artist Mutilo. This is also where the miraculous icon, the Theotokos of Smolensk is housed. The Churcl of the Resutrection in the village of Kostylikha (1652) is a historical monument protected by the Russian government. The gtand five-domed Resutrection Cathedral is the main attraction of the town. Korinfsky, the professor of architecture, designed the edific The classical iconostasis of the cathedral is the painting of Lomakin brothets. On the Cathedtal Square there is also a church dedicated to an icon of Virgin Mary known as Relieve my Suffering. There were over 30 churches and 4 monasteries in Arzamas in the 19th century, the town had also close links with Moscow. That is why it started to be referred to as a Moscow nook. In terms of old administrative buildings (of the 18th century), there is only one that is well preserved, this is the Arzamas Magistrate. Merchant committees and civil court hearings were held here. 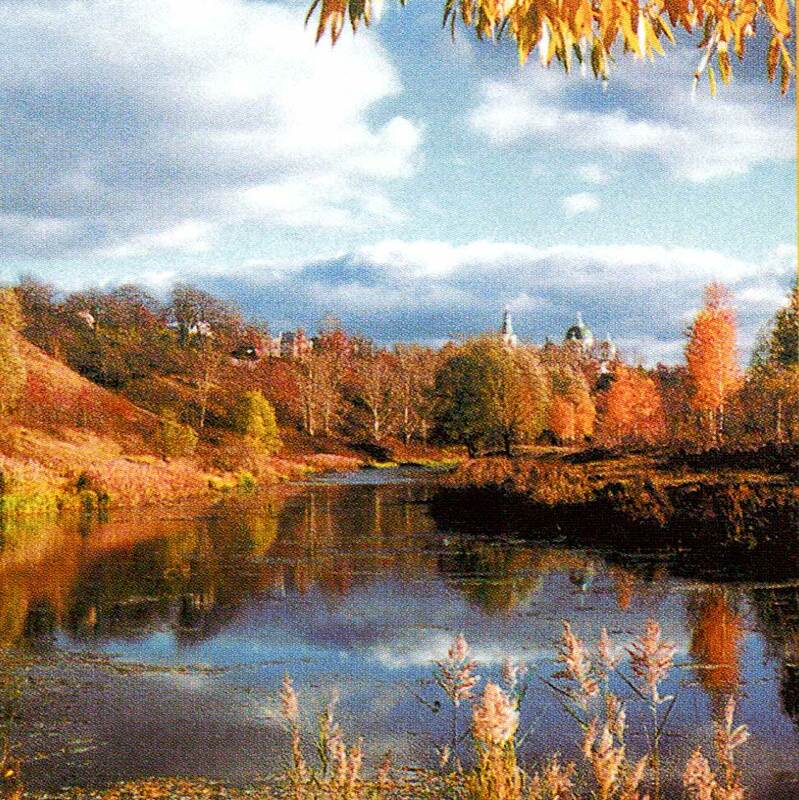 In the early 20th century in Arzamas the first provincial Fine Arts School was founded, headed by Academic Stupin. The school nuttured a range of talented artists, including Perov, Raev, Rachkov, Koshelev and othets. Maxim Gorky was in exile in Arzamas. Among his guests thete were some famous people, including Andreev, Nemirovich-Dachenko and Skitalets, who often visited Gorky. 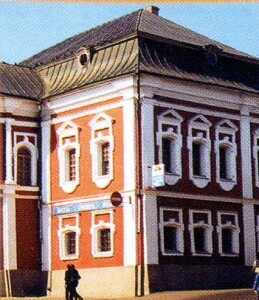 Later Gorky set up the first public library in Arzamas in his house. Today, there is the Gorky memorial museum. Arcady Gaydar (Arcady Golikov), a famous writet and author of many novels for kids, spent his childhood and adolescence in Arzamas. The residents of Arzamas love and take care of the so-called Gaydar places, including the house where his lived when he was a child, the school building, the Gaydar Museum of literature and his monument by Struchkov. 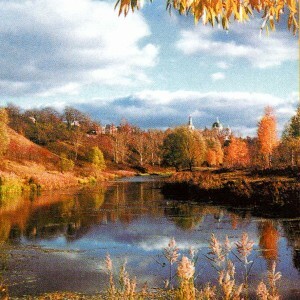 There were over 30 churches and 4 monasteries in Arzamas in the 19-th century. One of the families, the Balandin family, spent over 20 years collecting rare artwotks of the 18th and 19th centuries. Now there are two private museums, each with a wide collection of icons and all sorts of different types of bronze lamps (including icon lamps), porcelain, glass and brass objects, antique musical insttuments and clocks. Arzamas guests can also visit theatres, exhibition halls, the Art Gallery of the Stupin Fine Art School, the Folk Handcraft Centre, with over 20 workshops, go to concerts of the folk group Zolotye Uzori ot the Zolotayushka, etc. After a long walk around Arzamas, you can drop in Cameo restaurant or Kupecheskoye Podvorie cafe to try goose cooked according to an old Arzamas recipe.